The Munster Property Auction is now taking entries for their public auction that will take place on 10 July in the Rochestown Park Hotel, Cork. The auction firm have confirmed strong interest in the various lots that will be on offer. The auction will offer a large selection of properties offered from around the province including residential homes and investments, commercial properties and agricultural holdings. The Munster Property Auction are inviting property owners who are looking to sell their property without any upfront costs to contact the auction team. Bidding can also continue past the reserve price until the highest bidder has secured the property. Contact The Munster Property Auction on 021-2349696 to arrange for a free property valuation or for more information visit www.muntserpropertyauction.ie. 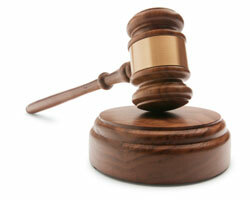 The next public auction takes place on 10 July in the Rochestown Park Hotel, Cork commencing at 7pm. Registration for the event starts at 6.30pm.